Home Keil Equipment Company, Inc. Looking to rent something? We have it! Ventrac Snow Throwers: Click here to view the models. In 1948, the Mid-Hudson valley was farm country. That year the Keil family opened their farm equipment business in Upper Red Hook. Since then Keil Equipment Co. has become as much a resource to the small and large property owner, landscaper, and contractor as they've been to the farmer. Keil Equipment Co. and the top-quality manufacturers we represent - get the job done - whether a half-acre of lawn or fifty acres of pasture. 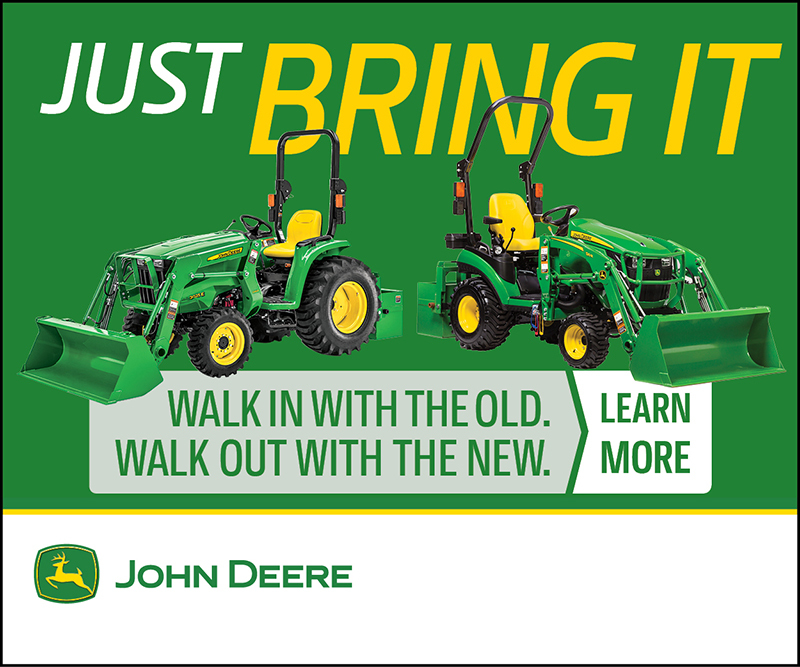 Check out the John Deere 1-4 series family of rugged but easy to use compact and utility tractors. Have some fun and do some work with Gator Utility Vehicles. Need a backhoe, or excavator to rent? Yes we have those, along with about 30 other machines for rent. Since the 1970's we have proudly represented Stihl power equipment, real people, Stihl people. Perhaps a Gravely homeowner or commercial zero-turn mower? This year Gravely celebrates 100 years of legendary manufacturing excellence. We are proud to represent such a quality manufacturer. Ever seen a Ventrac tractor in action? You will be amazed at the versatility of this amazing machine. Come in and try it out. With next day John Deere parts and authorized service available. Mobile service – We can come to you. We represent a large number of quality manufacturers to provide you with a great selection of "helpers" to get the job done. In the Hudson Valley, Keil Equipment has been steadfast for almost 70 years. Serving you from two locations on RT 9 – in Red Hook and Livingston (Hudson). Contact us, and our dedicated staff will be pleased to assist you with your sales, parts, service, or rental equipment needs.